As we talked about in an earlier post, there are many things that could lead to an engine failure or the need for an engine rebuild. One such indicator is low or no compression in your engine cylinders. Quite a few things could lead to compression issues in your engine, so proper diagnostics is critical to solving your specific issue. In this post, we're just going to cover some of these issues. Be sure to refer to manufacturer specifications or your mechanic to find out if one of these might be the root cause of trouble for your specific engine. Some of the indicators of poor compression are similar to that of fuel contamination—low power and poor fuel economy for example. You might also notice your engine running rougher than normal, excessive blow-by, or white smoke coming from your exhaust. If your engine is plagued by any of these symptoms, it would be a good idea to run a compression test to see if low or no compression is the cause of these issues. In many cases, compression problems can lead to the need for an engine rebuild, depending on the affected components of the engine. Leaking or Broken Valves:This allows the compression to escape the cylinder where the issue is located. Leaking or Worn Piston Rings: When these rings wear or fail, compression can leak from the cylinder. Broken Valve Spring: A broken valve spring allows the valve to stay open, which lets the compression leak out as well. Blown Head Gasket: This creates a poor sealing surface, which can allow compression to leak from one or more cylinders, depending on the extent of the damage. Worn or Broken Camshaft: Issues with your camshaft prevent the valves from opening the proper amount, which doesn't allow for air and gasses to enter and exit the cylinder. Broken Timing Belt or Chain: If this isn't working properly, then the camshaft isn't rotating at a proper speed, preventing compression from taking place as it should. Hole in Piston: A hole in the piston would again allow for compression to leak out. Low or no compression can affect one or all of the cylinders in your engine. 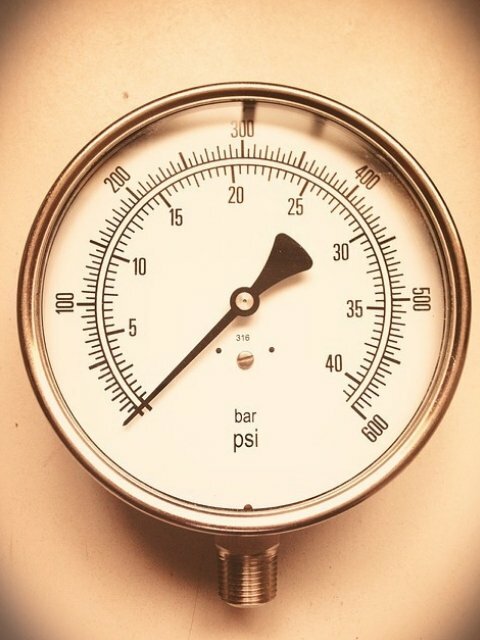 Running a compression test can help you identify where you're having your issue, as well as helping to narrow down what specifically might be causing your problem. For example, a broken valve can be a reason for no compression in only one cylinder. Some common causes of low compression in only one of your cylinders include leaking valves, broken valve springs, camshaft wear, broken rings, or a bad head gasket. If your test results are showing low compression in all of your cylinders, it might be caused by engine flooding, worn piston rings, cylinder glazing, poor air filtration or dusting, or timing problems. No compression isolated to one cylinder might indicate a dropped valve seat, broken valve spring, dropped valve, broken valve, or piston damage. If you're experiencing no compression in all of your cylinders, it might be caused by a broken camshaft. Again, a compression test can help you narrow down where your issue might be. Running a compression test helps you to know how your engine is performing year-to-year (or however long you go between compression checks), as well as how your cylinders are doing compared to each other. This allows you to isolate the problem, whether it is in one, two, or all cylinders. A compression test can be run through the glow plug holes or the injector holes, depending on the engine specifications and the type of gauge you're using. Refer to manufacturer instructions for more information on your exact engine type. If you think compression issues are causing your engine problems, you may want to think about an engine rebuild. Still have questions? Call our techs at 844-215-3406. Or, you can always request a quote online.